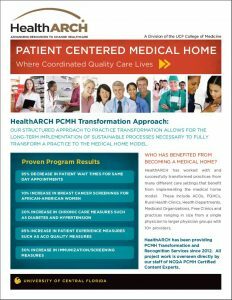 HealthARCH has a dedicated team of National Committee on Quality Assurance (NCQA) PCMH Certified Content Experts (CCEs) to assist your practice through the Patient Centered Medical Home (PCMH) transformation and recognition process. As an NCQA Partner in Quality, HealthARCH is recognized as an organization committed to providing services that support practices in pursuit of true practice transformation. Why should my practice become a PCMH? As healthcare payment schedules shift from a volume-based to value-based model, providers must be able to demonstrate improvements in patient outcomes and engagement. The Patient Centered Medical Home provides the standard for delivering optimum care and efficiencies that will become the benchmarks for reimbursements models in the future. Being prepared for these healthcare delivery changes will position providers for higher reimbursements and the ability to keep pace with government policy requirements. 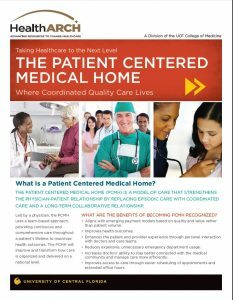 The Patient Centered Medical Home (PCMH) is a model of care that strengthens the physician-patient relationship by replacing episodic care with coordinated care and a long-term collaborative relationship. Led by a physician, the PCMH uses a team-based approach, providing continuous and comprehensive care throughout a patient’s lifetime to maximize health outcomes. The PCMH will improve and transform how care is organized and delivered on a national level. What are the benefits of becoming PCMH Recognized? Aligns with payment models based on quality and value rather than patient volume. 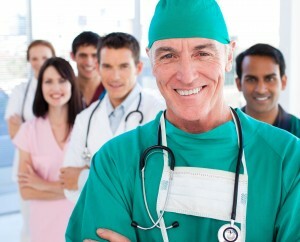 Enhances the patient and provider experience through personal interaction with doctors and care teams. Reduces expensive, unnecessary emergency department usage. Increases doctors’ ability to stay better connected with the medical community and manage care more efficiently. Improves access to care through easier scheduling of appointments and extended office hours. Contact HealthARCH for a FREE initial consultation to begin your PCMH transformation journey. To learn more, e-mail joinhealtharch@ucf.edu or call 407.266.4000.